OnLive exec says that he loves it when a plan comes together. No, really, he actually said that. Cloud gaming company OnLive isn't offering new characters or costumes as a pre-order incentive for Batman: Arkham City; it's offering an entire console. Pre-ordering the game through OnLive in the UK will score you one of its consoles, which allows users to stream games via their TVs, without the need for a computer. Writing back in August about a similar deal in the US, OnLive's VP of games and media John Spinale quoted the A-Team's John "Hannibal" Smith and said that he loved it when a plan came together. 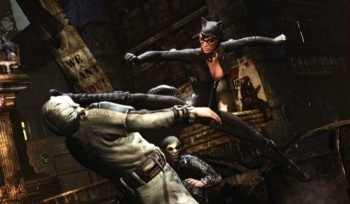 Everyone at OnLive, he said, was very excited about the release of Arkham City and the company was pulling out all the stops for pre-order bonuses. The console on its own sells for a penny short of Â£70, so it's not a bad deal in terms of raw monetary value. Of course, OnLive is the very epitome of needing an internet connection to play a single player game, so it's not going to be for everyone.